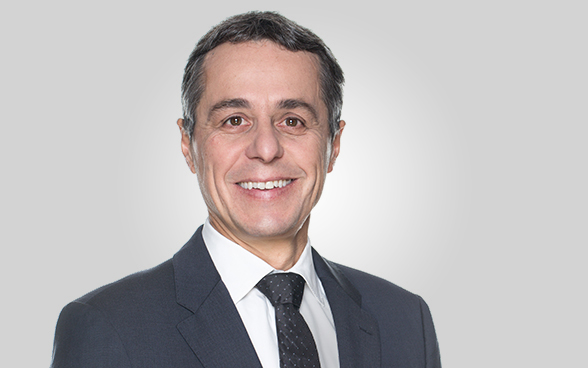 Federal Councillor Ignazio Cassis, head of the Federal Department of Foreign Affairs of Switzerland will visit Cairo on 24 and 25 March to meet with several representatives of the Egyptian Government, according to a statement by the Federal Department of Foreign Affairs on Sunday. During his visit, Cassis plans to review Switzerland’s cooperation program in Egypt and deliver a speech at an event marking 110 years of Swiss-Egyptian trade relations. “Egypt is a key partner for the implementation of Switzerland’s North Africa Strategy,” the statement said. The statement also mentioned that since 2011 Switzerland has supported political, economic and social developments in the region as part of its cooperation with Egypt. Cassis will discuss the North Africa Strategy, the situation in North Africa and the Middle East, and bilateral relations with Egyptian officials, in particular within the framework of international cooperation in Egypt. Another topic of discussion for Cassis will potential migration-related projects. He is set to visit on Sunday a Cairo-based project aimed at improving the situation of migrants in Egypt, the statement added. Over the next few years, Switzerland will focus on cooperation activities in the Middle East and North Africa, being one of the four priority regions specified in the dispatch on international cooperation for 2021–24, currently under preparation by the Swiss government.